« Build Your Own Industrial Pipe Shelf! 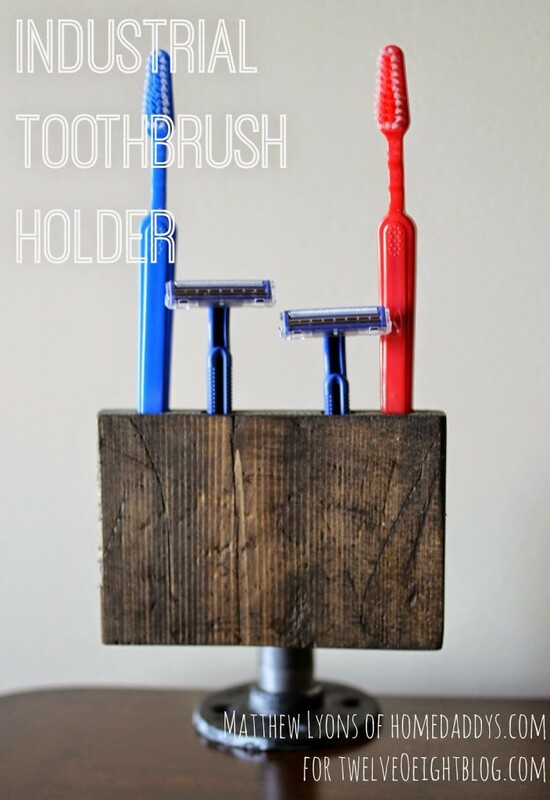 Okay so this has taken me way too long to post, but I built a nifty little toothbrush holder for Tanya over at the wonderful twelveOeight blog. Yes, this is another piece of rustic minutiae that will be going in my new bathroom. Yes, it is super easy to make. Yes, you should stop what you’re doing and go check it out RIGHT HERE AT twelveOeight. Since Tanya is awesome, I’m going be contributing projects like these on a semi-regular basis to her blog. So keep your eyes peeled for more stuff in the future! Also make sure you check back here as well. I’ve got something big planned. I can’t tell you what it is, but I can tell you that it involves lumber and power tools and that your family is going to love it.